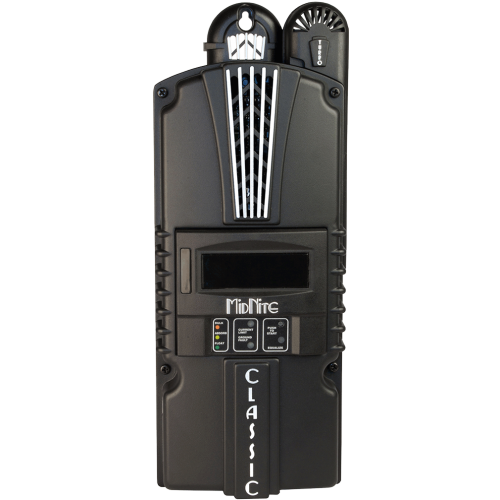 Midnite Classic be used for Solar, Wind or Hydro. Great data logging with internet access to monitor as well. The next generation of MPPT charge controllers the MIdnite Solar’s Classic Charge Controller—makes renewable energy more viable and more accessible than ever before. Past MPPT controllers have been limited to a maximum of 150 VDC. Midnite’s Classic offers 150, 200 or 250 VDC (please ensure you selec the correct model if you need higher VDC)—accommodating larger string sizes and higher voltage panels. Built-in string sizing and battery bank capacity sizing are available to streamline your design process. A help mode and set-up wizard help you through the learning curve. Midnite Solar’s Classic Charge controller works with wind, solar and hydropower systems. Wind or hydropower systems actually yield up to 50 to 250 percent more power with the Classic.